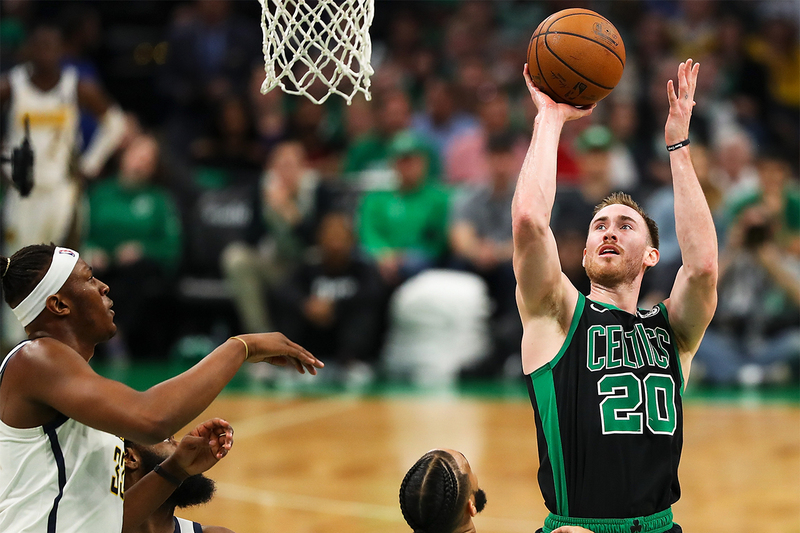 The postseason got off to a good start for Gordon Hayward and the Boston Celtics on Sunday. 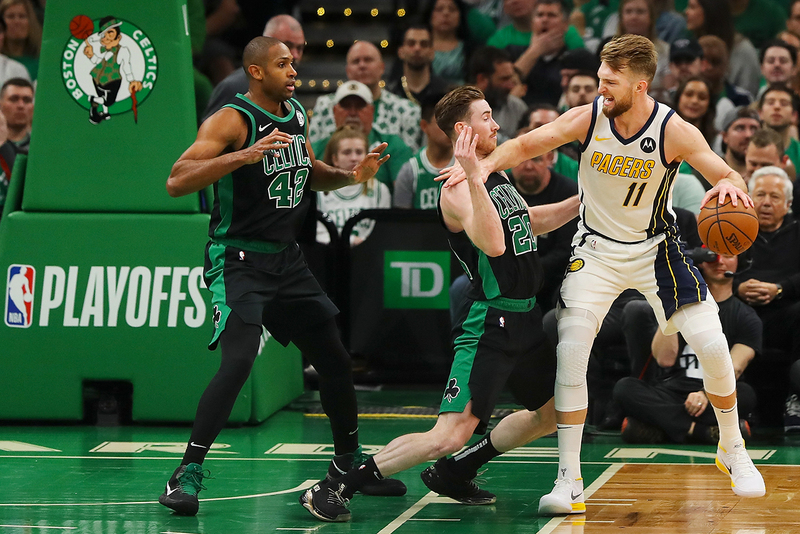 Boston battled the Indiana Pacers for 48 minutes in Game 1, emerging victorious in an 84-74 defensive struggle. It may not have been the prettiest of wins, but Boston showed the intensity on the defensive side of the ball that it takes to win in the playoffs. Ultimately, it doesn’t matter how the wins come, because they all count the same. The game was tight early on with Indiana’ Myles Turner finding some early success against the Celtics. Gordon checked in midway through the first and made some plays immediately, taking the ball to the hoop and giving the Cs some momentum. Shortly after making his first shot to cut the Boston deficit to three, No. 20 found guard Marcus Morris for a pullup jumper to go down by one 14-13. The score went back-and-forth on seemingly every possession in the first quarter. The Pacers held the edge until the final 17 seconds of the frame, when Morris made a pair free throws stemming from a Cory Joseph loose ball foul. 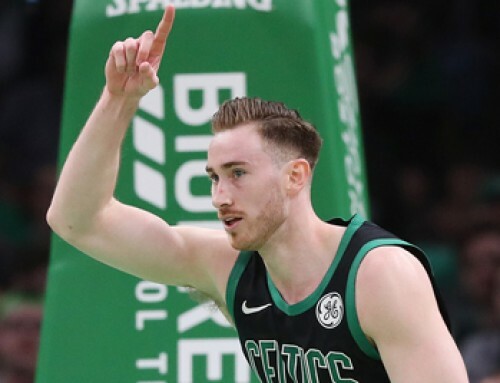 Gordon tried to help the Celtics grab a lead seconds later when he stole the ball from Sabonis, but a shot at a buzzer beater from Terry Rozier missed the mark and at the end of the first quarter, the game was tied at 20 apiece. All season long, G has been a reliable hand for Boston, opening and close the second and third quarters. Sunday was no different. Just over 30 seconds into the second quarter, Gordon scored again to give the Celtics their first lead of the game. Over the course of the third frame, G served as a facilitator, grabbing a couple of rebounds, and dishing out three assists, as the Cs attempted to keep pace with the hot Pacers. Indiana was just a bit stronger in the second, but with his team down nine and just 31.6 seconds left in the half, G-Time made a shot to close out the half, cutting the deficit to seven. Boston trailed Indiana 45-38 after a physical, playoff-style first half. However, the Celtics didn’t waste any time to start the second half and flipped the momentum of the game in a pivotal third quarter. After coming out of the locker room down seven, Boston opened the second half with an 11-0 run to reclaim the lead. Kyrie Irving, Aron Baynes, Al Horford and Jaylen Brown contributed in the come-from-behind effort. Morris and Irving accounted for 11 of Boston’s 26 points in the third. 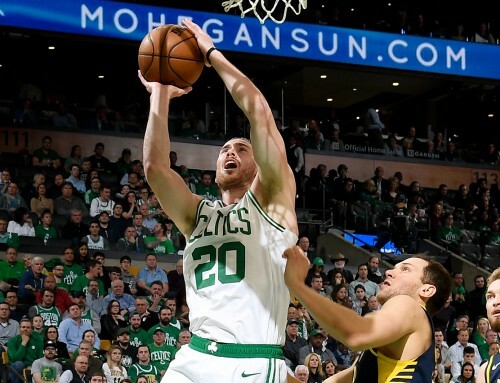 But the real impact for the Cs in the third came on the defensive end, where they allowed just eight total points by the Pacers in those 12 minutes, outscoring them by 18 and turning a 7-point deficit into an 11-point, 64-53 lead at the end of the third. 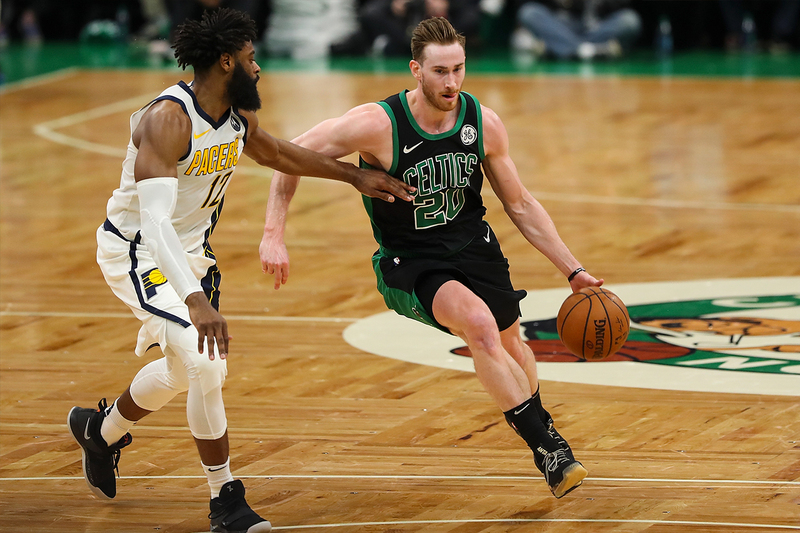 Entering the fourth quarter with a double-digit lead, Boston’s closeout unit, that saw Gordon teamed with the starters, began to bury the Pacers. Early in the frame, G caught a pass from Horford and knocked down a running layup to give the Cs a 13-point cushion. Moments later, Jayson Tatum and Kyrie Irving buried back-to-back threes that extended Boston’s lead to 19 points. A trey by Horford with 5:21 to play even extended the edge to 20. Indiana attempted to get back in it, but Gordon was fouled on a shot with under four minutes left to play by Indiana’s Myles Turner, he had a chance to push back. 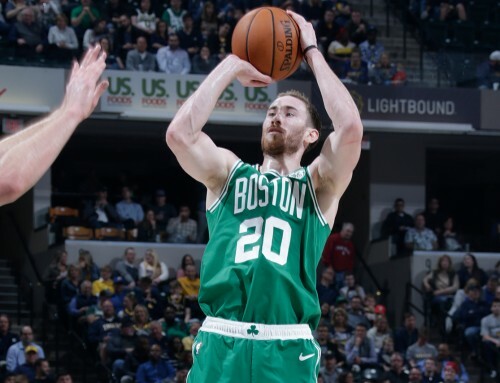 G-Time, who shot 83.4 percent from the line during the regular season, stepped up again, knocking both free throws down to increase the lead for Boston. Tatum followed with a dagger trey to put the Celtics up 22 with 3:34 to play. 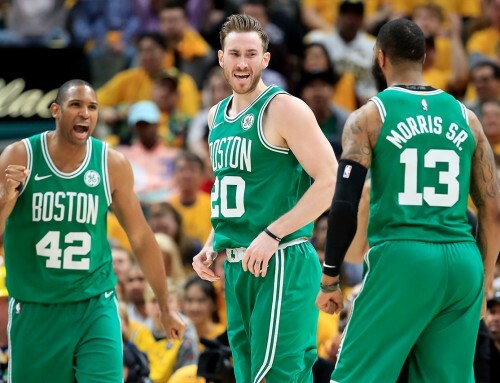 The Celtics held on through the remaining few minutes and took the 1-0 series lead with the final game score of 84-74. Most impressive was Boston’s defense. In holding Indiana under 75 points in a promising playoff opener, the Cs stifled the Pacers shooter, who shot 33.3 from the field and 22.2 percent from three. In his first playoff game in almost two years., G put together a near double-double performance He scored 10 points, and added seven rebounds, four assists and made both of his free throws. G-time led the entire Celtics bench, playing 30 minutes in the win. Irving scored 20, Morris scored 20, Tatum had 15 and Horford added 10, once again displaying the depth of this Boston team. Horford finished with a double-double with 11 rebounds to complement his 10 points. 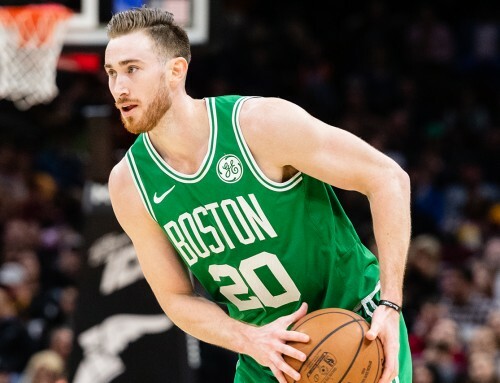 Hayward and the rest of the Celtics looked sharp, especially on defense. If the Celtics can stifle opponents throughout the playoffs like they did in Game 1, they will have a long postseason run. But first, they need to take care of business in Game 2 on Wednesday. Tip-off is set for 7 p.m. ET at the TD Garden and the game will air on TNT.